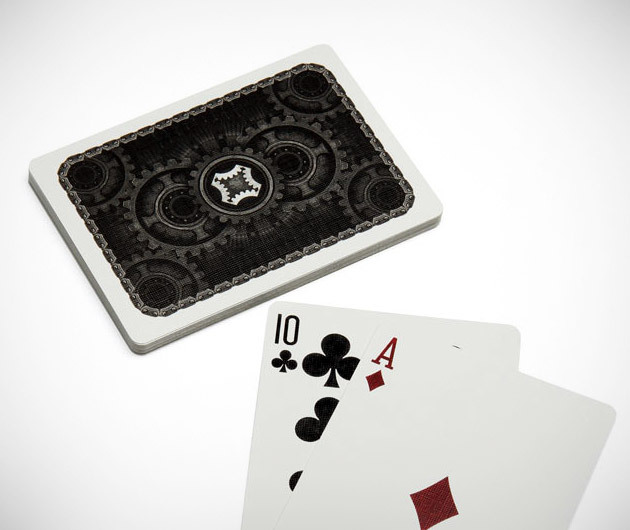 The age old art of flip animation has been taken to a techno level with the Animated Gears Card Deck. When the cards are arranged in order and treated like an old time flip book, the gears printed on them give the illusion of turning. A plus, each card in the sequence is distinct, so you actually have a subtly marked deck, but that little bit of info is yours to share, or not.